More than 35 million South Korean had their personal data stolen after two popular South Korean websites were hacked. The two websites hacked are Nate, a web portal, and Cyworld, a social network. Both these websites are owned by SK Communications. Cyworld is a hugely popular social networking website in South Korea. It has been reported that the website has around 33 million users and receive more page views per day than Facebook and Twitter (in South Korea). Nate on the other hand is the most popular web portal in South Korea. Nate also provides an email service and an IM service called NateOn. According to the South Korean Communications Commissioner, the incident happened earlier this week and hackers got access to the personal data of 35 million users on the two websites. Considering the fact that South Korea has a population of around 49 million, that makes for around 70% of the entire population. According to SK Communications, the attack originated from a Chinese IP address, but South Korean authorities say that it is not yet certain if the attack is from China. The personal information stolen includes name, email address, phone number, social security number and user id. The password and social security number are reported to have been encrypted. 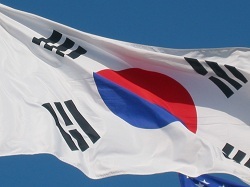 This attack follows a series of recent attacks on South Korean websites ranging from banks and corporate to government and military. In terms of the number of users affected, however, this is the largest attack ever in South Korea.